Sixnet series' unmanaged industrial Ethernet switches offer simple plug-and-play functionality with reliable performance. Available in an endless range of port options, our rugged switches are set to tackle the demands of industrial data acquisition, control and Ethernet I/O applications. Sixnet series IndustrialPro® SN-6000 cellular routers offer secure and reliable remote connectivity to deployed assets that utilize cellular carrier networks. Sixnet series rugged industrial routers provide easy wireless communication between SCADA servers, RTUs, PLCs, remote I/O and Ethernet and serial connected devices. Red Lion offers a wide selection of Sixnet series industrial Ethernet switches with monitoring capabilities. Providing the simplicity of an unmanaged switch with advanced remote diagnostic capabilities, our monitored switches perform in harsh environments and offer ease of deployment. Sixnet series RAM® 6000 and 9000 industrial cellular RTUs provide a secure all-in-one platform to remotely connect, monitor and control assets across industrial applications. By seamlessly connecting to existing Modbus or DNP3 enabled devices, Sixnet series industrial cellular RTUs provide instant access to remote data. 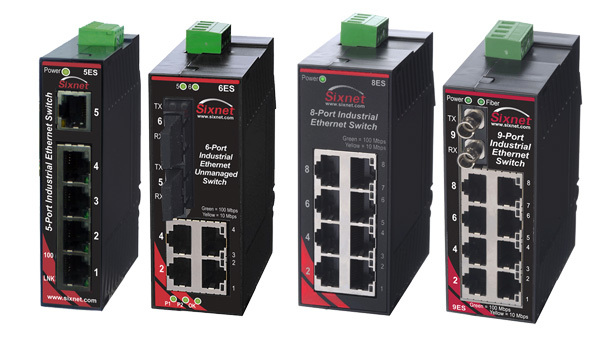 Sixnet series managed industrial Ethernet switches provide the ability to configure port settings, manage network traffic and remotely monitor your network for critical issues. Our managed switches are designed to operate in harsh environments and offer best-in-class performance. 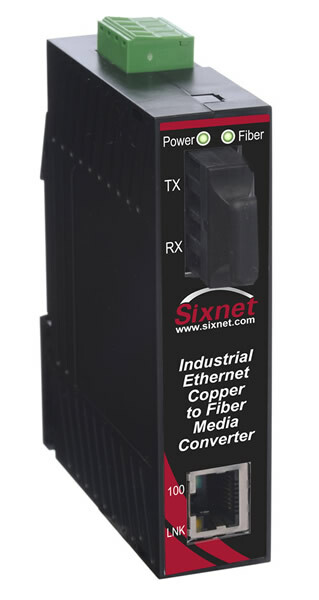 Sixnet series Ethernet media converters are designed to extend communications links and bridge connectivity between disparate types of media, connectors or speeds. Providing fast performance and rugged operating specifications, our DIN-rail mountable converters include copper, fiber, fast Ethernet and Gigabit options. Red Lion’s wide range of Sixnet series industrial IEEE 802.3af/at Power over Ethernet (PoE) solutions are designed to transmit power and data over Ethernet, eliminating the need to run separate cables saving time and money. Sixnet series ET industrial Ethernet serial device servers are ideal for connecting serial-based software applications over Ethernet to remote serial devices. 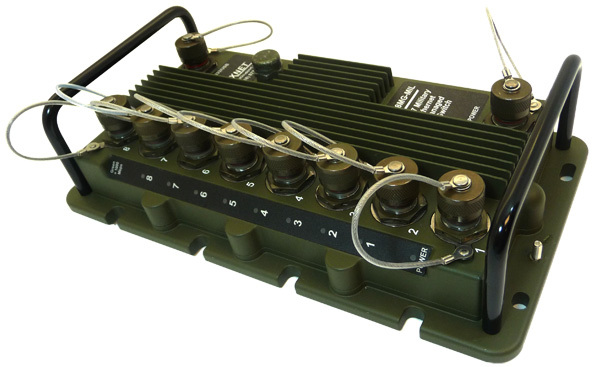 These high-performance converters use advanced IP technology to deliver a rugged solution in a compact size. Red Lion offers Sixnet series IP67 and OEM embedded switches for the harshest environments. Available with unmanaged, Layer 2 or Layer 3 management features, our IP67 switches provide an incredibly robust solution for mission critical deployments. 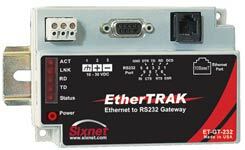 Sixnet seriesIPm® VersaTRAK® and SixTRAK® RTUs work with E3 I/O™ and EtherTRAK®-2 I/O modules to provide a simple yet powerful monitoring and control system for remote sites while the Watchdog Relay monitors equipment heartbeat and provides fail-safe shutdown of processes. Sixnet series industrial wired routers offer secure and reliable communication to remotely deployed assets. Industrial routers are ideal for connecting Modbus or DNP3 enabled devices such as SCADA servers, PLCs and other automation equipment with remote locations.